How many times have you attended (or led) a lively prospect strategy meeting, left energized by the enthusiasm of the major gift officers, only to check back in a week or two to learn that progress has been slow? The fact that it’s a common problem only makes it more frustrating. What’s a fundraising manager to do? We’ve seen all sorts of tactics, ranging from carrots (like performance compensation for those who meet their goals) to sticks (a weekly report showing who’s failed to get the job done). And our clients continue to hold regular prospect review meetings, even though major gift officers are busy people who dread one more meeting on their calendar. We know they’ll come to the meeting with something to report, even if all of their activity was a mad scramble the day prior to the meeting. Then he explained his point. “Listen, luvah. 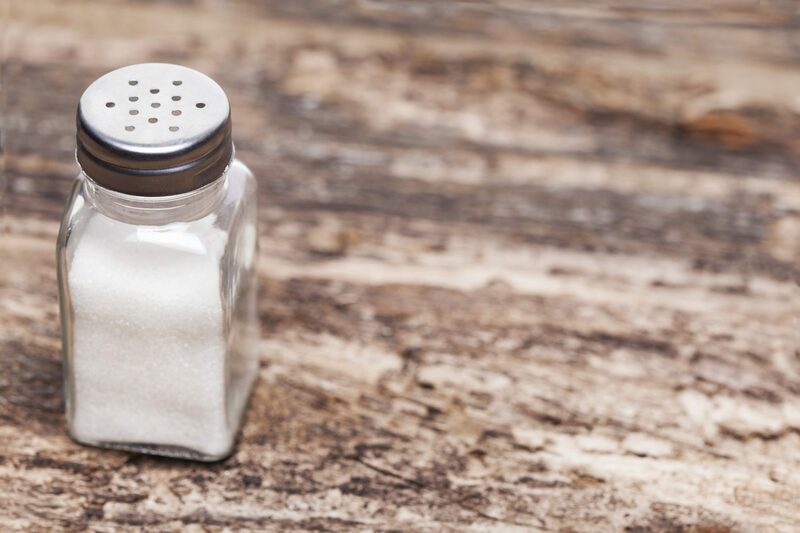 Your staff and your guests are always moving your saltshaker off center. That’s their job. It is the job of life. Until you understand that, you’re going to get pissed off every time someone moves the saltshaker off center. It is not your job to get upset. You just need to understand: That’s what they do. Your job is just to move the shaker back each time and let them know exactly what you stand for. Let them know what excellence looks like. Similarly, it’s the “job” of our donors and development team to move our best plans off center. For Danny, the lesson led to the creation of a management technique he calls constant-gentle-pressure. Each element is critical, and every member of the leadership team is responsible for reinforcing all three. How does constant-gentle-pressure apply to leadership of a development office? Let’s examine them one at a time. Constant: Major Gift Officers should wake up every morning thinking about their goals. But their lives are full of deadlines and distractions. That’s why they need constant reminders: a weekly (or even daily) e-mail; a personal word of encouragement; a consistent time, place, and agenda for review meetings. Pressure that is gentle but not constant sends mixed messages. Gentle: Let’s remember that they are human (and, without them, the donors are neglected). Pressure that is constant but not gentle – such as public shaming – will only demoralize the team. That’s why gift officers need coaching more than “training.” Coaching is correction with dignity. Pressure: Without pressure, your team will lack the drive to fulfill their assignments. Sometimes it comes in the form of peer pressure: most high-performing staff want to do as well as—if not better than—their peers. For others, it’s their internal commitment to the cause. Find the pressure point, and you’ll be more likely to trigger action. With consistent application, constant-gentle-pressure creates a culture of accomplishment. Just as one salty potato chip leads to another (and ten or twelve more, in my case), the Salt Shaker Theory becomes a self-perpetuating process. At its best, it leads to a successful development office where the team can look back with a sense of accomplishment, and look forward to an aspirational vision.